Located near the Hachiko exit of the busy Shibuya Station, this massive crossing in Tokyo’s Shibuya district is a landmark in itself. Imposing TV screens overtake the Shibuya crossing from above, where a huge number of people cross from every direction possible. It is where Tokyo’s youth, nightlife, fashion and business collide and a perfect location to get lost among millions of swift-moving people. 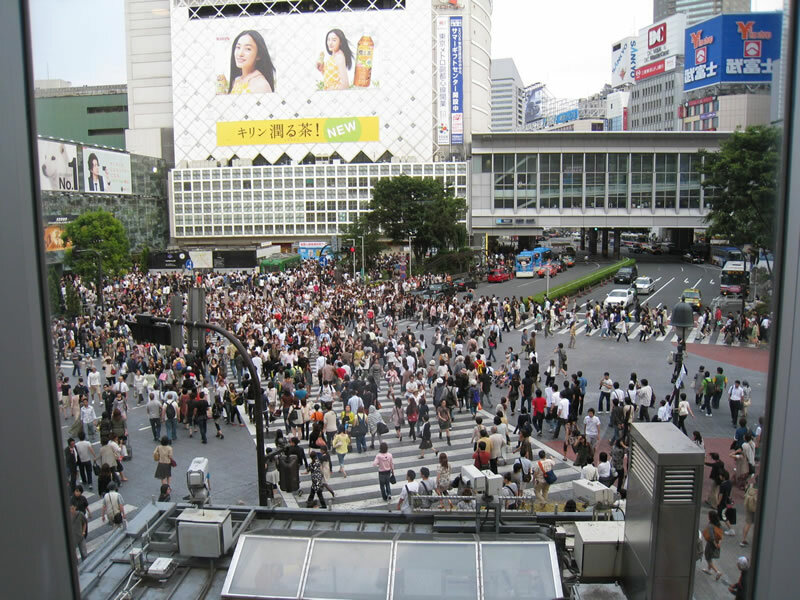 Shibuya crossing is referred to as a scramble crossing as the traffic is stopped in all directions, thus allowing pedestrians to walk in all directions through the intersection. Shibuya Station is the third busiest station in Tokyo and the Hachiko exit leads to the main Shibuya shopping area which is full of department stores and fashion boutiques. 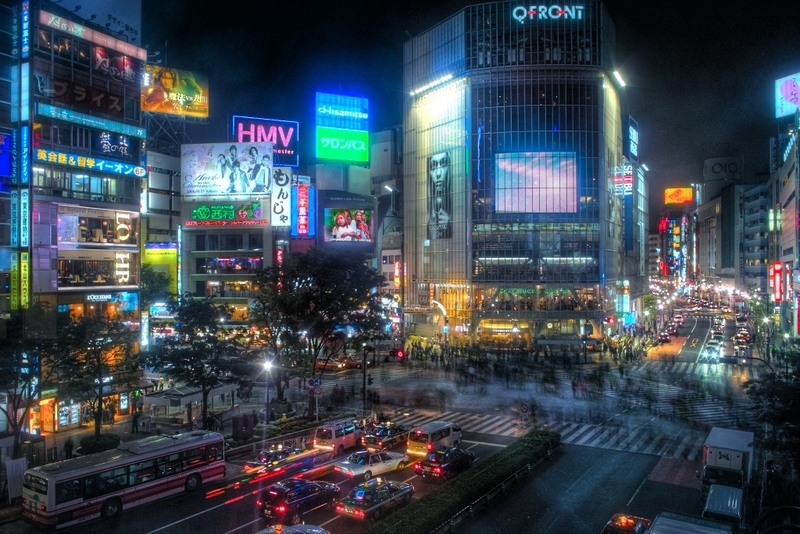 Shibuya crossing is one of the busiest pedestrian crossings in the world.